Senate Majority Leader Sen. Harry Reid (D-Nev.) said Tuesday that House Republicans "are attempting to torpedo the Senate's bipartisan progress with a bill that can't pass the Senate." Senate Majority Leader Harry Reid said Tuesday that credit rating agencies are considering a downgrade of the United States "as early as tonight," as lawmakers struggled to reach a debt ceiling agreement. "The debt is here. 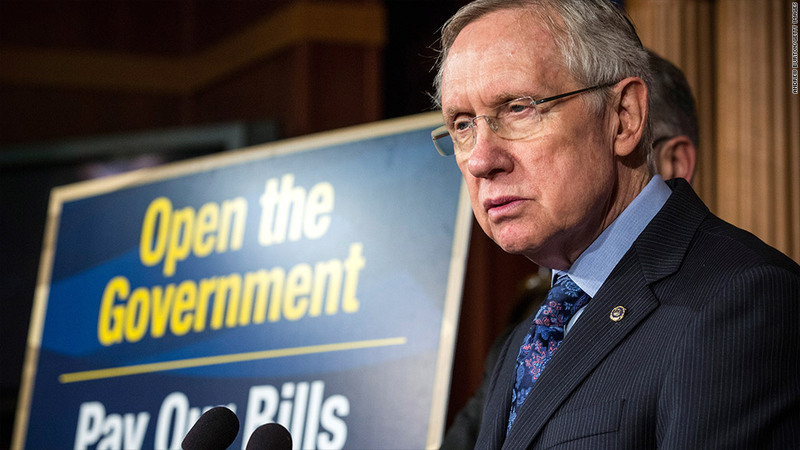 The deadline is looming," Reid said on the Senate floor Tuesday. "Rating agencies are talking about downgrading us as early as tonight." The source of Reid's information was unclear, and his office did not respond to a request for follow-up comment. The big three rating agencies -- Fitch, Moody's and Standard & Poor's -- declined to comment on the senator's remarks. Should there be a downgrade Tuesday, it would most likely be from Fitch. Fitch announced Tuesday that the U.S. had been placed on "rating watch negative," meaning the country could be downgraded from "AAA" status in the near future. "Although Fitch continues to believe that the debt ceiling will be raised soon, the political brinkmanship and reduced financing flexibility could increase the risk of a U.S. default," Fitch said. Moody's said last week it believes that even if the debt ceiling deadline passes, the U.S. would be able to prioritize debt repayment, keeping its creditworthiness intact. But Treasury Department officials have called this option unworkable, urging Congress to raise the debt ceiling in timely fashion. Like Fitch, Moody's currently has the U.S. rated "AAA," a distinction it would almost certainly lose in the event of a default. S&P was the only major agency to downgrade the United States during the debt ceiling crisis of 2011, knocking the country down to "AA+." S&P said last month that the debt ceiling debate "is unlikely to change the U.S. sovereign rating." "This sort of political brinkmanship is the dominant reason the rating is no longer 'AAA,'" the agency said. Should the government breach the debt ceiling and fail to meet its obligations, S&P said the rating would be changed to "SD" -- short for "selective default" -- until the situation is resolved. Even if the U.S. is downgraded, some analysts say the rating agencies are largely an afterthought in the debt ceiling fiasco. S&P's 2011 downgrade roiled world markets in the days that followed, but has had little lasting impact. In any case, investors would do well to take Reid's comments with a grain of salt. The majority leader sent insurance stocks reeling back in October 2008 when he said a "major insurance company" was on the verge of going bankrupt -- an event that never came to pass. --CNNMoney's Jeanne Sahadi contributed reporting.